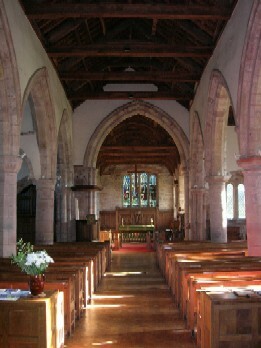 The Church has a mixed voice choir that regularly sings anthems and hymns for the services. Its Choirmaster currently is David Jones, who is not only a local music teacher but is also our Lay Reader. 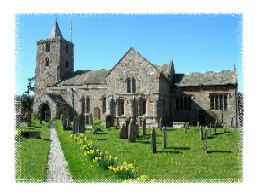 Although based in St Lawrence Church, Morland, the choir also sings for services at the other churches in the Mission Group. The choir is RSCM affiliated and members of the choir have represented us at festivals in Durham, Carlisle and Liverpool Cathedrals. 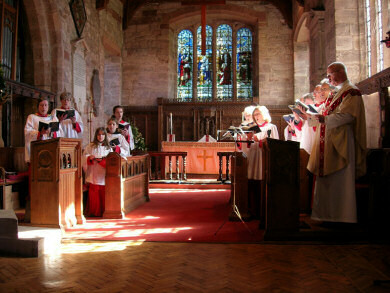 Some were in Hexham Abbey for the recording of the 2007 Advent Sunday’s Songs of Praise on BBC1. The choir sang the complete J.S.Bach Cantata, Sleepers Wake as part of the service for the Second Sunday in Advent in 2009. You should be able to hear the Chorale being played if you click the play link above (you may need a plugin, such as RealPlayer to listen to this mp3 file). Also hear us on BBC’s Today website.